Bourneville is a model village built by the Cadbury brothers. Their profits went towards trying to create a little (pub-less) Utopia for the inhabitants. In 2010, American food giant and plastic cheese manufacturer Kraft bought Cadburys in a hostile takeover. Although the village is separate from the company, the residents were up in arms that we had lost such an iconic British institution to free market economics.I wanted to make my own pirate chocolate in defiance of the Kraft takeover and created Bournvillain. 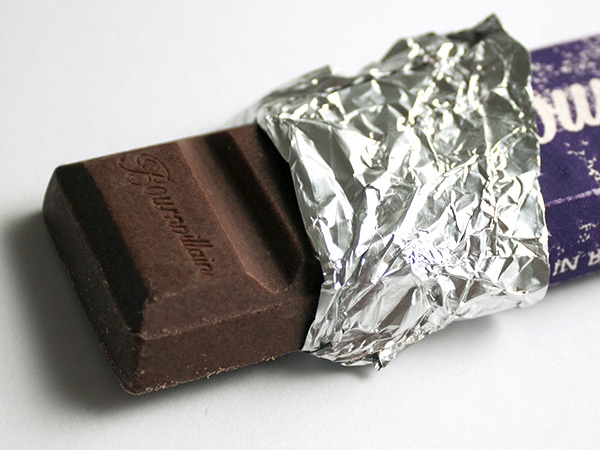 The Bourville chocolate bar, originally came about so that Cadburys could copyright and protect the village’s name and reputation. The name Bournvillain means more than an antagonist. The phrase villain in old English comes from the word village to mean a person ‘ of the land’ and it’s how you would refer to a farmhand, surf or worker. The term took its modern meaning when these villains had to turn to crime to survive in city life which which is a suitable identity for the chocolate bar. 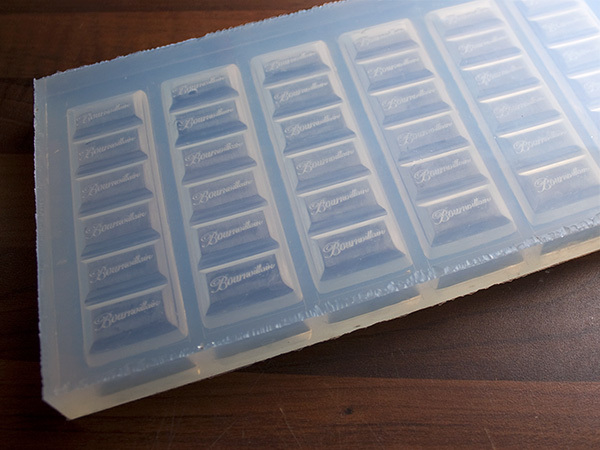 I created my molds from a bar I picked up from the Bournville factory but making the chocolate turned out to be an intensely difficult process. 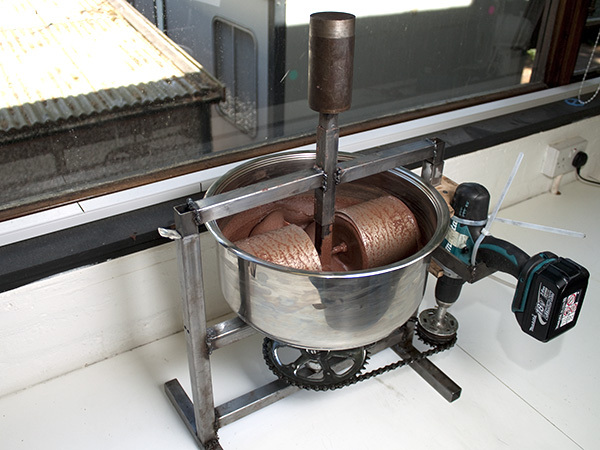 Due to the industrial secrecy of the company and all chocolate producing companies,the machine I made was designed to imitate a ‘Malanger’, the traditional method of making chocolate. In contrast, I tried to make my machine transparent and self evidencing so wherever possible I used recognisable components. Just like the Peckham Pale Ale, all the ingredients, processes, people and packaging will go on a wiki for people to view, edit and contribute however the complexity of the project makes it very inaccessible. This project is to illustrate the lengths we can reach reclaiming culture when we push the idea and open up the production process. The underlying idea throughout the reclaiming culture project, is that we need to shatter our illusion of politics. It’s not about Cameron or Milliband, it’s about you and me and how WE choose to do things.